This devastating Holocaust memoir by a Nobel Peace Prize winner chronicles his experiences as a young boy amid the horrors of the Nazi death camps. In 1944 the Jews of Sighet, Hungary, were rounded up and driven into concentration camps. 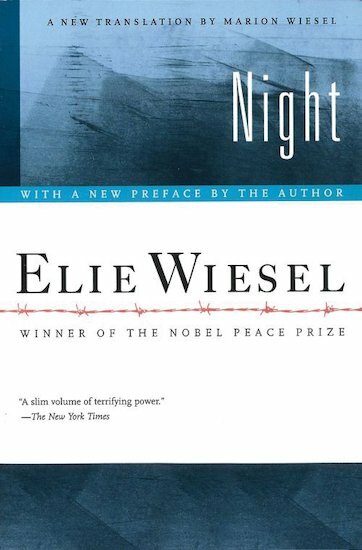 For the next terrible year, Elie Wiesel experienced the loss of everything he loved – home, friends and family – in an agonizing journey that took him to the camps of Auschwitz and Buchenwald. Here he tells his own deeply personal story of the death of loved ones, the loss of his innocence, and his despair as a deeply religious Jew in confronting the evil of man.